A transformation is a one-to-one correspondence or mapping between points of an object and its image on a plane. 1. A translation is a transformation which moves all the points on a plane through the same distance in the same direction. 2. Under a translation, the shape, size and orientation of object and its image are the same. 3. A translation in a Cartesian plane can be represented in the form ( a b ) , whereby, a represents the movement to the right or left which is parallel to the x-axis and b represents the movement upwards or downwards which is parallel to the y-axis. 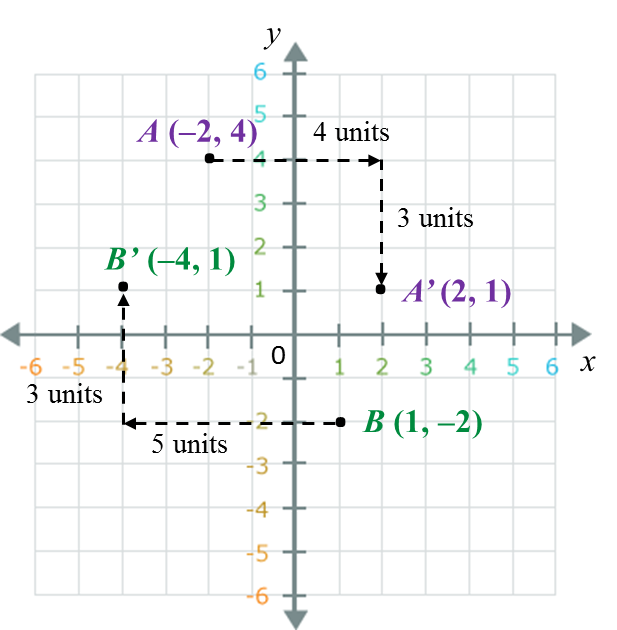 Write the coordinates of the image of A (–2, 4) under a translation ( 4 − 3 ) and B (1, –2) under a translation ( − 5 3 ) . Point K moved to point K’ (3, 8) under a translation ( − 4 3 ) . What are the coordinates of point K? Therefore the coordinates of K are (7, 5). 1. A reflection is a transformation which reflects all points of a plane in a line called the axis of reflection. 2. In a reflection, there is no change in shape and size but the orientation is changed. 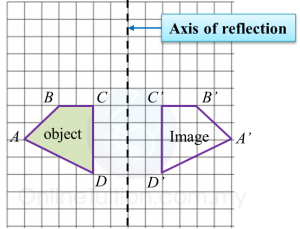 Any points on the axis of reflection do not change their positions. 1. 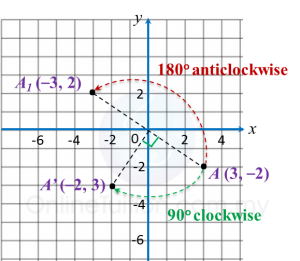 A rotation is a transformation which rotates all points on a plane about a fixed point known as the centre of rotation through a given angle in a clockwise or anticlockwise direction. 2. In a rotation, the shape, size and orientation remain unchanged. 3. The centre of rotation is the only point that does not change its position. 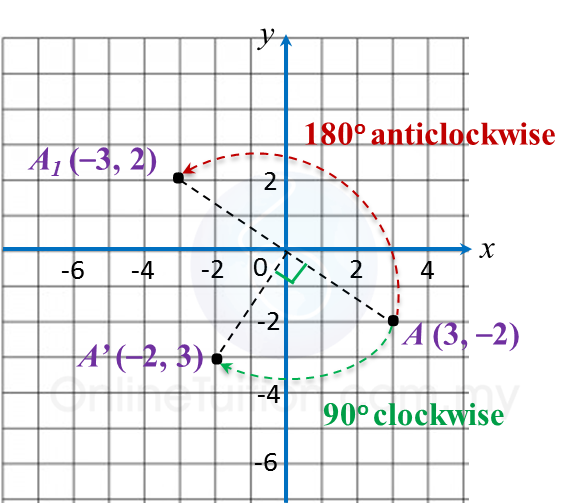 Point A (3, –2) is rotated through 90o clockwise to A’ and 180o anticlockwise to A1 respectively about origin. State the coordinates of the image of point A. 1. An isometry is a transformation that preserves the shape and size of an object. 2.Translation, reflection and rotation and a combination of it are isometries. 1. Congruent figures have the same size and shape regardless of their orientation. 2. The object and the image obtained under an isometry are congruent.